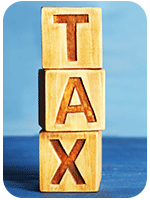 UBIT stands for unrelated business income tax. The federal tax law passed at the end of last year included changes to UBIT that directly impacts nonprofits. So, your nonprofit wants to encourage employees to take public transportation because it’s good for the environment, perhaps even mission-critical. Or maybe it’s a recruitment tool because job candidates in your area expect that benefit from the best places to work, like yours. As a result, let’s say your nonprofit has in the past provided financial assistance to make it easier for employees to commute to work (such as contributing to the cost of a mass-transit pass or parking). Guess what? Because of the new federal tax law, your nonprofit must now pay a penalty tax (UBIT) for providing those incentives, even if employees pay for them through pre-tax contributions via a qualified plan. This short article and podcast will give you the background and explain the new tax treatment that is effective right now – regardless of when your nonprofit’s tax year starts. We agree with many professional tax law advisors that this development isn’t good news for nonprofits, to say it politely. The National Council of Nonprofits is very concerned that this aspect of the new tax law is taking many nonprofits by surprise, and that nonprofits that have never before had to file UBIT forms with the IRS will now be penalized for late or inaccurate filings. The informal understanding is that the IRS may issue guidance during the summer, but the filing deadlines for quarterly estimated payments for many nonprofits are due well before then.